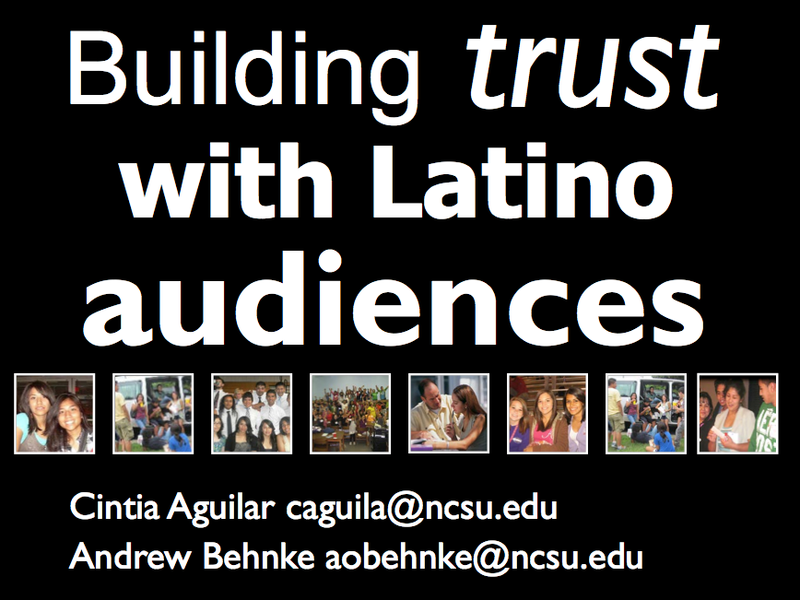 Want to gain trust and find new ways to engage Latino audiences? Watch this webinar to get tools, resources, and new ideas for improving your work with Latino audiences. Learn to effectively recruit, engage, and retain diverse audiences in your programs and in your research. This interactive discussion will help novices as well as experienced participants learn skills to improve the ways they work with Latino audiences. Considering the diversity and commonality among Latino audiences, this webinar focuses on serving lower income Latino immigrants, who may have immigrated more recently and may have more limited English abilities and less formal education.